Small size. Wide field of view. Impeccable Steiner® quality. 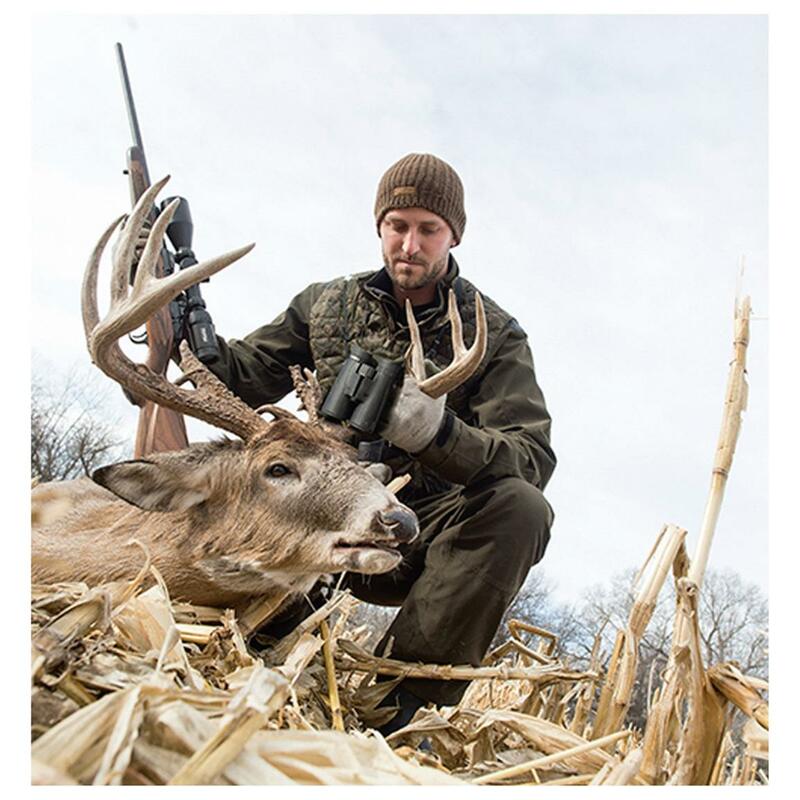 When packing for your next hunt or outdoor adventure, take along these compact, precision-quality Steiner® 10x42mm HX Binoculars and bring distant objects into view. 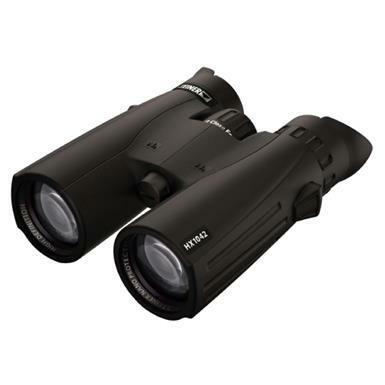 Delivering a wide, 326' field of view, Steiner® HX Binocs help you spot wildlife more quickly, at greater distances. Advanced lens coatings and premium optics ensure optimal brightness and clarity across a wide range of lighting conditions and environments. Roof prism design and a newly designed ergonomic, rubber-armored frame promise easier handling and rugged, all-weather durability that meets the challenge of your demanding, outdoor lifestyle. Field of View: 326' @ 1,000 yds. 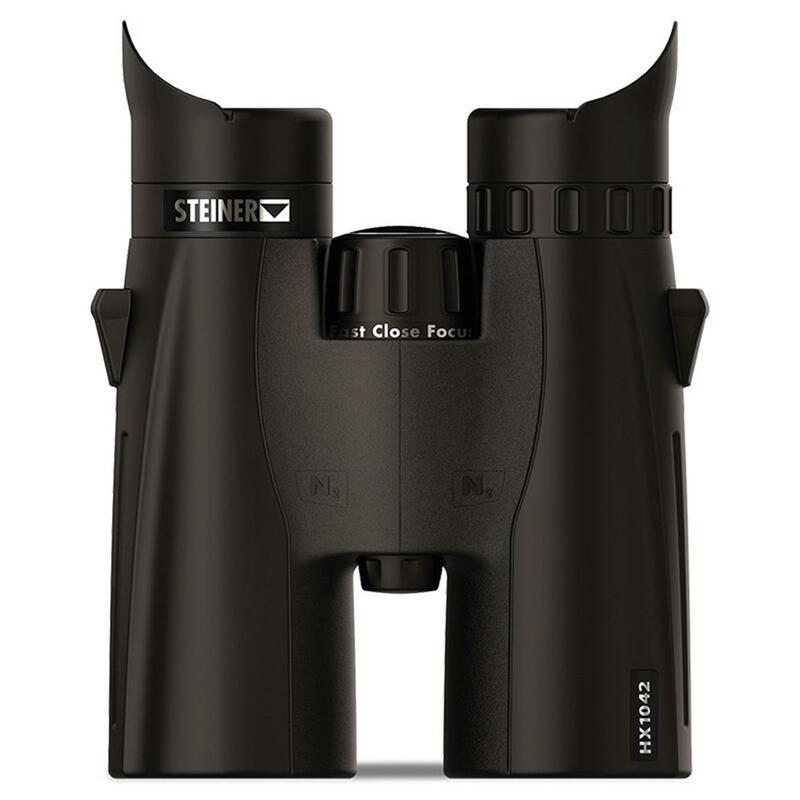 Steiner 10x42mm HX Binoculars is rated 4.8 out of 5 by 77. Rated 5 out of 5 by Silver Fox from Seeing Is Believing I am able to use my glasses while using this product instead of removing them and then putting them back on. I can not believe the difference of quality between this glass and my old 8x40 glasses. Thank you so very much. Rated 5 out of 5 by ThomasJH from Crystal clear and great for prolonged glassing Bought a month ago for glassing meadows for deer. These binos work great for that, especially for hours on end. I didn't know what I would think of the blinders to be honest, but now that I use them I almost couldn't go without! I ended up getting my buck walking to the stand, so I never ended up using them on the hunt, but maybe they are a bit lucky too. Rated 5 out of 5 by Double 4570 from Great optics. I love these binoculars, the glass is very clear, the size is nice to carrying when hunting. Good visibility at dusk, good feel when handling and when glassing. Had a slight glitch with the click lock strap connectors but this was straightened out quickly. Rated 5 out of 5 by Dray slats from Great binoculars I have never owned such a good pair of binoculars. Kind of wish they were a little better at dusk I find they don’t light up as well in darker situations but over all great. Rated 5 out of 5 by Cvn1 from Quality product! German optics are hard to beat and unbelievable in the field!